The final section of Sir Edward Elgar's most famous series of music has been completed and will be heard for the first time at a Proms concert. The sixth instalment of the Worcestershire composer's Pomp And Circumstance Marches has been finished by Elgar expert Anthony Payne. Bits of Elgar's work on the section were found in the library of the Royal School of Church Music nine years ago. Number one in the series is Land Of Hope And Glory, a Proms favourite. Composer Anthony Payne has brought March No.6 to life from Elgar's unfinished fragments of sketches found on papers. 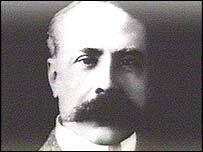 The fragments included a main tune and the composer's ideas, over one of which Elgar wrote "jolly good". They complement another, near-indecipherable manuscript, found in the British Library. The performance at the BBC Proms, on Wednesday evening, comes more than 70 years after Sir Edward Elgar's death. Mr Payne said the main tune needed only "tiny changes", but more creativity was necessary with the March's rousing introduction and grand final flourish. BBC Proms director Nicholas Kenyon said: "The piece will be about eight minutes in length, the same as the other Pomp And Circumstance Marches. "It hasn't come out at all like the end of Hope And Glory, it's not as exuberant, is more sombre and has a wistful quality." The 112th season of Henry Wood Promenade Concerts will celebrate the anniversaries of Mozart and Shostakovich.